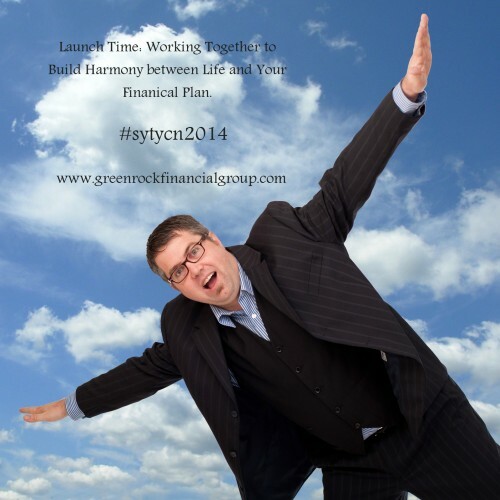 Launch Time: Working together to build harmony between life and your financial plan. I love the photo. I want to have beers with you. Right now this is a 6 for me. What’s clear is that you’re a financial planner. Cool. That’s a 10 for clarity. I know exactly what that is. The result you’re offering is helping people build harmony between their life and their financial plan. For me that sounds a bit fuzzy. And I wonder if that’s what they’re craving. Is that how they’d word it? Why harmony? What’s the problem they’re experiencing that makes this relevant? Is it that they’re overwhelmed? Is it that they’re investing in funds and companies that aren’t aligned with their values? Is it that money is an area they feel a lot of emotional confusion and stress with? Harmony runs the risk of coming across as a vague platitude vs. a tangible, measurable result that your ideal clients are craving. Your wording also implies that they already have a financial plan but that there’s not a lot of harmony between it and their life. Is that true? Or are you helping them create the plan from scratch? Is that what you mean by the launch? But again, back to the important point. Beers. You and me. 8/10: Sense of humor, human perspective, financial [sic] planning. I’d check out your services. In my experience people who are good at math, statistics, analysis, and whole systems thinking are frequently the worst spellers. However, people who catch the misspelling might not consider it a plus, like I do. 7/10: Love the play on words very fun but I think you could re-work the “launch time” bit. Time to soar maybe? Definitely dig the message but agree with the other poster about being careful with the details. Punctuation, capitalization and spelling are all subtlety conveyed in your message. 8/10: Launch time? How do I do that? I like the fun aspect! 8/10: Really like the one. Someone to add some lightheartedness to financials. “Lunch time: working together…etc.” I thought: hey, that’s nice, during lunch meetings we can arrange my financial planning. But that is just me, hoping it would be done quick. What I miss is a description of (ideal) client and what results I could expect.